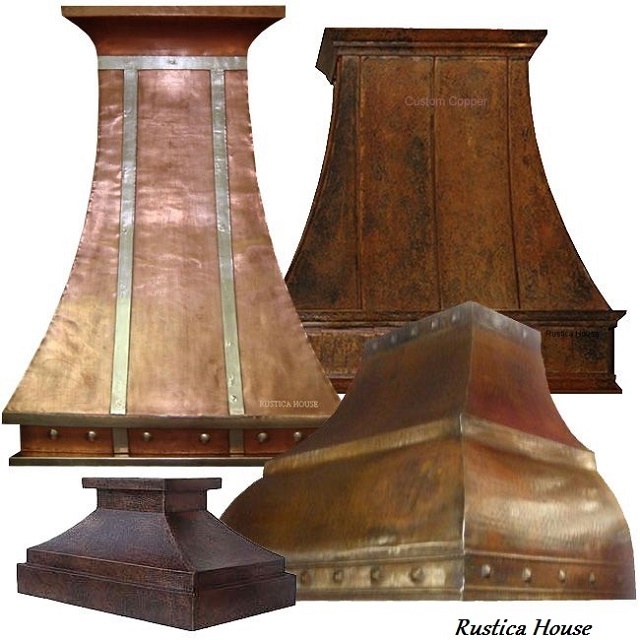 Click the button below to add the Copper Range Hood '0105' to your wish list. Copper metal vent hood for a domestic kitchen range in natural rustic patina. The vent hood is also manufactured in dark, antique or honey finishing. Select copper look from the menu below the price. There are a few add-ons available. Buy model "Baltimore" customized or your own linear installation or with our discount insert included. See hood options for details. The appliance is offered in wall or island style. In both cases it is twenty four inched deep. The remaining dimensions can be found in the description bullets. Estimated metal vent hood shipping time is five weeks including production.